Boolean operators, also called connectors, are represented by the terms AND, OR, NOT. 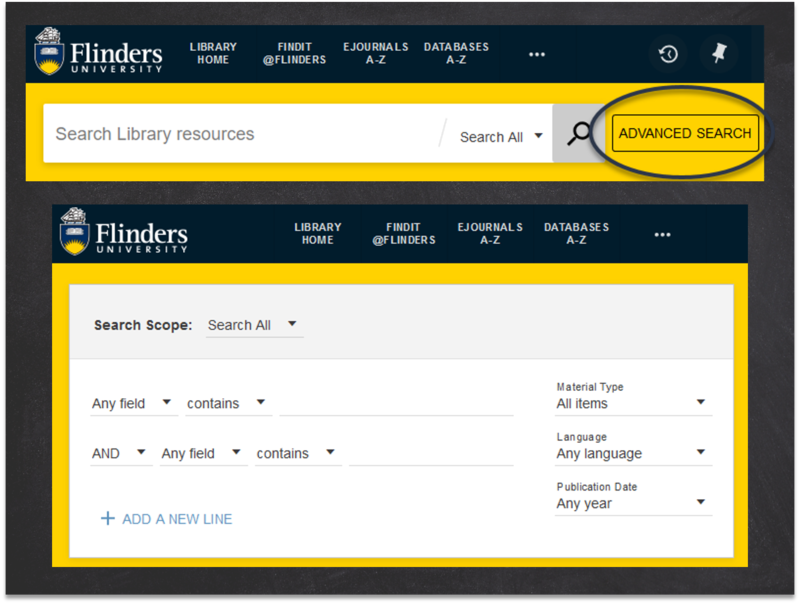 These terms can be placed in between keywords or/and Subject Headings to focus or limit a search in FindIt@Flinders, library research databases and Google. There are three Boolean operators: AND, OR, and NOT. They are used to link your keywords together in different ways to get the best search results possible. will only return results that contain both the words grammar and teenagers. If an article contains only one of these words, it will not appear in your search results. For this reason, AND is used to narrow down search results. will return any results containing the word teenagers, or adolescents, but not necessarily both. For this reason, OR is used to broaden search results. Anything that contains the word Facebook will not appear in your search results. Be careful when using NOT that you don't accidentally exclude useful terms from your search. Some databases automatically apply an AND or OR operator to keywords unless you specify otherwise. Different databases handle the operators differently so check the database help. Unless you are conducting a highly structured search such as a Systematic Review it is usually best to keep your search strategies simple. When you add too many operators your search structure can cause unintended results. When using boolean operators you can create a search strategy that is ambiguous because it isn't clear if the search requires the OR operators to be dealt with before the AND operators. Use Nesting or parentheses to make this more specific. Watch the video below for an overview of how to apply these operators in a search. Nesting is the technique of using parentheses () in your search statement to designate the parts of the query that should be dealt with first when combining AND and OR operators in a more complex search string. For example, grammar AND (adolescents OR teenagers). In this search the OR operation is nested and will be performed first. Then the AND operation will be performed. This search will retrieve items on grammar and adolescents as well as items on grammar and teenagers. For a more complex example, (facebook OR "social media" OR texting) AND (adolescents OR teenagers). The OR operations inside both sets of parentheses will be performed first, and then the resulting sets will be combined using the AND operator. Nesting synonyms in this way can broaden your search. Without parentheses the example, facebook OR "social media" AND adolescents OR teenagers This search will perform the OR and AND operations in the sequence that they are typed and retrieve irrelevant results that are just about teenagers, not just those relating to social media. Sometimes using the advanced search option of library research database allows options to set up a search in a logical fashion without parentheses. grammar NEAR teenagers - grammar must be within a paragraph of teenagers in the documents you retrieve (depending on the database). grammar /5 teenagers - teenagers must be within 5 words of the word grammar. grammar pre/5 teenagers - grammar must be within five words before the keyword teenagers. Not all databases allow them so check their help pages to be sure. Keep it simple! It is possible to create over complicated searches when using too many search strategies in one search.